In 2016, US$2.8bn in humanitarian assistance was disbursed through cash and vouchers, which was a 40 per cent increase from 2015 and 100 per cent increase from 2014. Despite the significant increase in cash-based assistance, it accounted for only 10 per cent of global humanitarian assistance in 2016, up from 2.5 per cent in 2015. Hence, although there is no dispute any more about the role of cash in significantly improving humanitarian aid, challenges remain. According to the State of The World’s Cash Report report published by The Cash Learning Partnership (CaLP)— a global partnership of humanitarian agencies engaged in policy and research within cash transfer programming (CTP)—87 per cent of the respondents of the survey feel that cash is being increasingly considered now than a year ago. About 80 per cent of them believe that cash relief is working for them and have the evidence to back up. “While delivering relief in kind is the dominant way, there is currently an increase in donor commitments for direct cash relief,” says Karen Peachey, East Africa Regional Representative, CaLP while releasing the report at the AIDF Africa Summit in Nairobi on February 28. 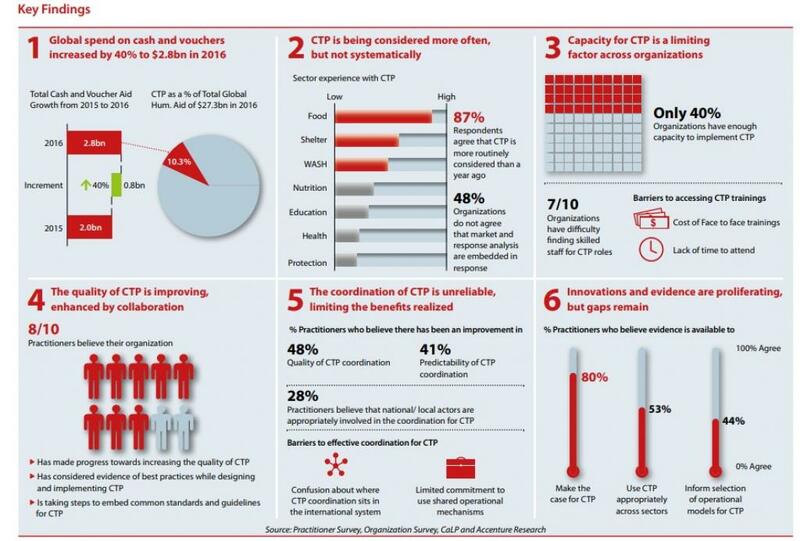 However, only 40 per cent of organisations globally, have enough capacity to implement CTP and seven out of 10 organisations have difficulty in finding skilled staff for CTP roles, reveals the first-of-its-kind report. Peter Burgess, Head of Regional Office for European Commission - Humanitarian Aid & Civil Protection (ECHO), says his organisation has committed up to 30 per cent of all relief in cash. "This mode of humanitarian aid is increasing. It is important to understand whether cash relief is the best and effective way of reaching out relief,” says Burgess. “Personally, I would choose unconditional cash and decide for myself, provided there is a market available that can meet my needs. That is why I suggested in the DFID high-level panel on humanitarian cash that all decision makers in the aid world should always be required to ask: ‘Why not cash? And if not now, when?”writes Jan Egeland, secretary general of Norwegian Refugee Council, in the foreword of the report. According to the World’s Cash Report, “Cash-based assistance is not necessarily a substitute for or very different from existing humanitarian programming. When we embrace the complementarities between different forms of humanitarian assistance, cash undoubtedly helps to better serve affected populations.” It also observes that established cash “is at the forefront of innovation for people in crisis”. 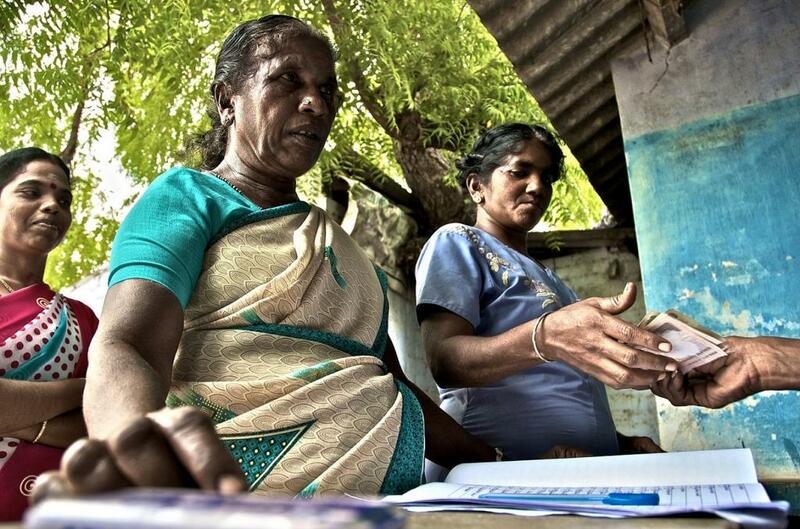 ALSO READ: Can a cash-on-delivery model work for global aid?